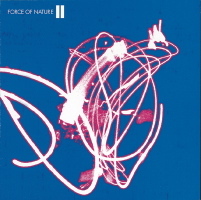 Libyus Music: FORCE OF NATURE "II"
© 2005 Libyus Music All Rights Reserved. FAT JON & STYROFOAM "Space Gangsta" P.V. Party Report "FORCE OF NATURE III Release DJ&Live Tour in 宮崎"
Party Report "F.O.N. III Release Party @ UNIT"
* FORCE OF NATURE "II"
07. "A New Dawn (Skitt)"